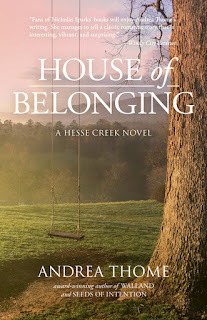 On Episode 96 of the GSMC Book Review Podcast I spoke with the delightful Andrea Thome about her new book, House of Belonging, the third installment in her Hesse Creek Trilogy. 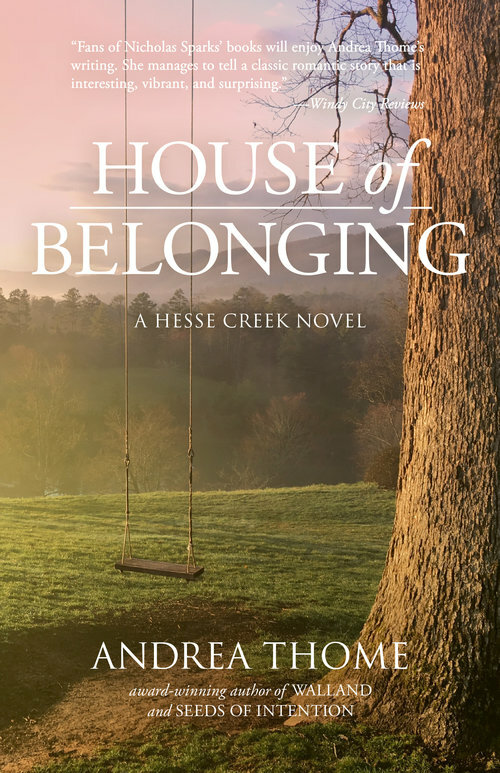 House of Belonging tells the story of Laina, a minor character from the first book, and Logan, the brother of one of the main characters in the second book. Laina and Logan both come into the book with issues from their past. As their relationship develops from acquaintances to friendship to romance they help each other to reconcile those issues. They do so in an equitable way, though. So often in romances there is some form of rescuing that happens and it's fairly one sided, whether it's emotional, physical, or something else. Laina and Logan are both strong and vulnerable, though, and it enables them to confront their pasts and help the other to do the same. The rest of the relationships. This trilogy is a romance and there are three couples who get together in the three books, but there are also relationships of friendship and family (both biological and the family we choose). "[Laina] wasn't the kind of chef who insisted people eat one way and like it. She offered options, and knew customers would end up ordering exactly what they were supposed to experience." [Laina] wished sometimes that she could take all her parents' little affection words and stitch them together to make a quilt she could wrap around herself in their absence." 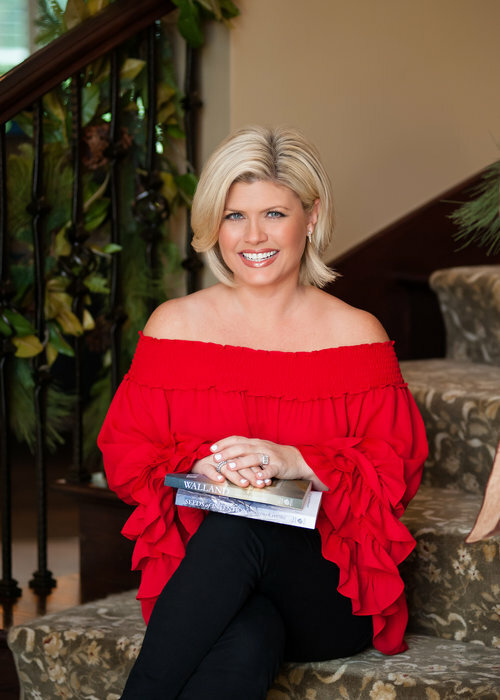 I'm a former broadcast journalist who has covered both sports and news during my career. (That's how I met my husband, Hall of Famer Jim Thome; I interviewed him on opening day of the MLB season in 1995, and the rest is history.) We have a fifteen-year-old daughter, a ten-year-old son, and two cats that we spoil rotten. I temporarily retired when we had our children, so I could be home with them full-time while they were still young. The loss of my mom almost four years ago was the catalyst for me starting to explore my writing career, which still allows me to remain home with my family. My mom was a writer and poet, and I can't help feeling that she's always near, watching over me proudly. 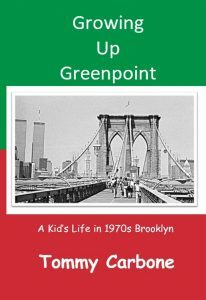 The subject was 1970s Brooklyn on Episode 94 of the GSMC Book Review Podcast as I spoke with author Tommy Carbone about his memoir, Growing Up Greenpoint: A Kid's Life in 1970s Brooklyn. In Growing up Greenpoint, Tommy Carbone captures what it was like to be a kid during the 1970s and 80s in Brooklyn. This funny, and sometimes emotional, memoir follows the years Tommy was educated not only in the classrooms of St. Stan’s, but on the streets of Greenpoint. It was there, playing street games with friends, being cornered by muggers, playing kissing games with the girls, spending time with family, and constantly seeking out the best snack foods in the neighborhood, where Tommy learned a lot about life; although he may not have known it at the time. A simple conversation, years later, about the New York City Blackout of 1977 sparks Tommy to recall his youth in the city he loved. His stories will bring you into the action of what it was like to dodge cars during a ballgame, to take a hike to another borough in search of a particular burger, to the hours spent playing pinball in a corner candy store, and how special it was to build traditions with three generations of Polish and Italian relatives in Brooklyn’s garden spot. This book is a lot of fun. 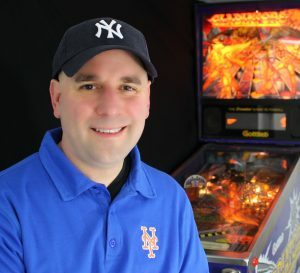 Tommy experienced some pretty major events in the life of New York City, including the blackout in 1977 and a fairly significant blizzard in 1978. While these were stressful events for the adults who had to deal with all of the logistical issues, they were actually quite the adventure for the kids in Tommy's neighborhood. My childhood was vastly different than Tommy's, so it was fun to read about growing up in an urban environment. It was also amazing how many parts of the book I resonated with despite the differences in our upbringings. Reading about a childhood so different from mine. I grew up in rural Montana, Tommy grew up in Brooklyn. As a child I knew Brooklyn existed because a friend's mom grew up there and his grandma would come to visit every year, but I had absolutely no concept of what living in an urban area was actually like. It was fun to see childhood through a different lens. Reliving aspects of my own childhood, especially different types of technology (or lack thereof). "Looking back, the Greenpoint of my youth certainly had an impact on my personality, my outlook on life, and how I view the city - both good and bad - until this very day." "More recently I have resorted to telling people I was just generically from Brooklyn, leaving out the Greenpoint part. I'm not happy about that, so the next time I am asked, I might just give them a copy of this book"
"This was our type of street food - pickles from barrels, slices from hole in the wall pizza joints, knishes from candy stores, leftover pretzels, sausages from butchers, and smoked fish off a clothesline." Do you want to read Growing Up Greenpoint? You are in luck because Tommy has been kind enough to provide 3 signed copies to give away! All you have to do is go to either our Facebook, Twitter, or Instagram pages and comment on the post with Tom's interview. It's as simple as that: just comment on Episode 94 on Facebook, Twitter, or Instagram, and you'll automatically be entered to win Growing Up Greenpoint! The last day to enter is July 14th and winners will be announced on July 16th. To hear the interview with Tommy, please click here.